Hair and makeup by Sly Beauty. And isn’t this view from the New York Palace amazing?! Here’s a round-up of what I wore during New York Fashion Week! It was such a memorable week packed with lots of shows, meetings and interviews but there’s nothing like being home. I’m ready for a relaxing weekend with my babies! You def. had great times in NYC! I hope to make it to next Fashion Week in NYC! Gorgeous!! I love all of the chic black looks but really love that pretty ruffled blush look at the end. Beautiful! I loved all of your looks, Rach, especially your coat selection which is amazing and really made the outfit in a lot of the looks. Thanks for sharing and enjoy the relaxing weekend with the babies! LOVE all your looks! You guys did NYFW right, looking fab! Love all of your looks! That pink Milly skirt was sooooooooo cute! That first look is so ladylike offset by daring, bold makeup. Looks like a great time at NY fashion week. Thanks for sharing! Love your style. The Burberry camel coat is gorgeous. Thanks for sharing and have a lovely weekend. Snappy and snazzy! Love the coat! So fab, as usual! Love all your NYFW looks! so smart to wear your lulus as tights! great pictures! I love the outfit with the chloe boots! Thank you! Regular leggings just don’t cut it sometimes because they are too thin! Loved all of your looks! LOVED all of your different looks for fashion week! All were so trendy and feminine. Been really loving your Gucci & LV belts- feel like that trend is coming back! Love all the pink paired with black and white that you did this year!! So fun! I’m jealous!! You need to make sure you try new treats all the time! New York is amazing! 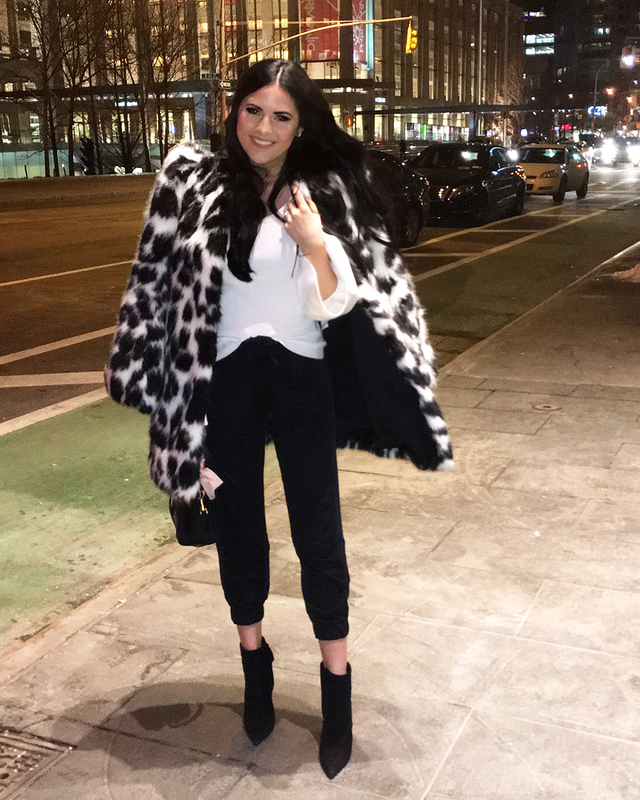 I love all of the Furs you’ve incorporated into our outfits for NYFW, perfect way to stay warm in the snow! Thank you, Katerina!! I love a good fur to keep me warm! That Elizabeth + James outfit is just perfection! I just love all of these fashion week outfits! Love this round up! That Elizabeth and James top is amazing! 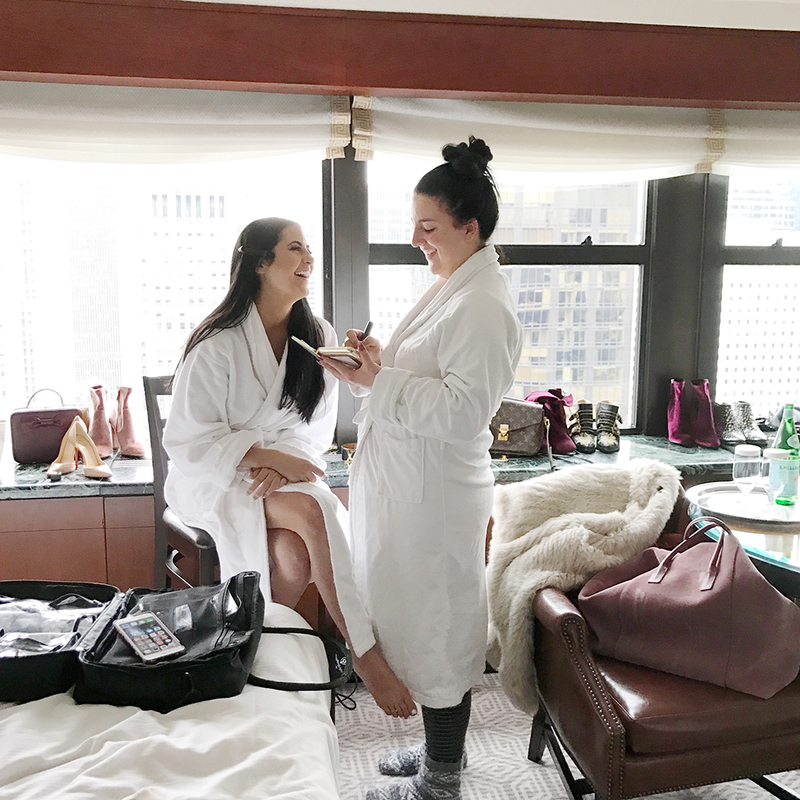 Rach, it looks like you had a fabulous time at NYFW! You looked gorgeous in all the outfits. Every outfit was amazing! I LOVE the ruffle skirt so much!